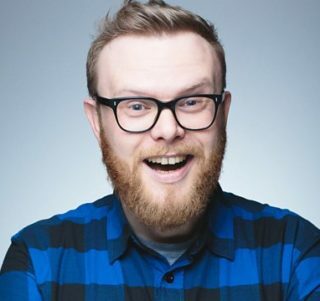 Bio: Huw Stephens presents a nightly new music show Mon-Wed on BBC Radio 1 and 6Music. Before this he presented a regular weekend show for the station, and the One Music new music strand. Huw presents on BBC2 fronting the Glastonbury coverage, and has presented shows on BBC4. He also broadcasts a monthly show on BBC World Service. He runs his monthly live music nights in London and curates the Lake Stage at Latitude. His BBC shows have been broadcast from South by South West in Texas, Sonar in Barcelona and Green Man in Crickhowell. Huw has travelled to Reykjavik, New Zealand, Nashville, Los Angeles and Manchester to seek out and reflect the new music in these places. Huw has been nominated twice for a Bafta Cymru award in the Best On Screen Presenter category for S4C music programme Bandit. Huw hosted the Bafta Cymru Awards 2015-17, and the NME Awards 2014-17. He also regularly presents on BBC Radio Cymru and presents television programmes for BBC Wales and S4C. Huw also co-founded the Swn festival in Cardiff, and the prestigious Welsh Music Prize. Description: Huw has a gorgeous, lilting Welsh accent and speaks Welsh fluently. Perfect for commercials, continuity and promos. Distinctive and friendly, Huw can bring his own brand of charm and kudos to any voiceover campaign.